So Beautiful, so lucky you! Thank you Rose! 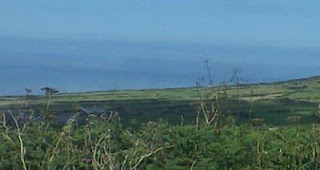 You can't quite see the mist in this picture, which I took with my mobile, but it's edging along the coastline. Take care of yourself, Teri and hoping that you make a full recovery soon!